The Unilever Food Solutions Sooo Pinoy Food trip na Pilipinas in Cebu aims to show that there are many Filipino recipes from each regions in the Philippine Archipelago and Cebu is one of it with Cebuano specialty that has to be recognized for the unique flavor it adds to rich tradition of Filipino Cuisine. Thanks to Unilever Food Solutions for giving importance to our culinary tradition and continuing support for the local chefs in the ongoing innovation of Filipino food. 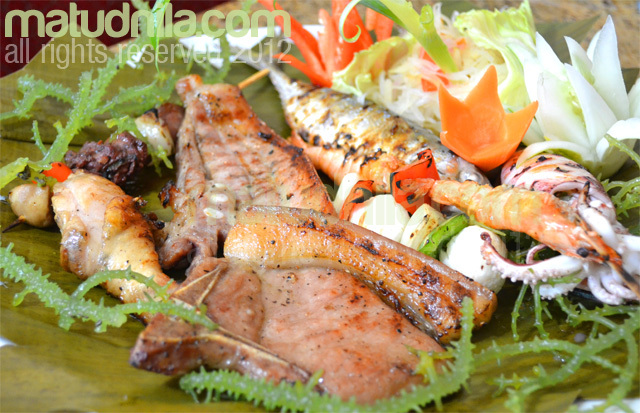 The last restaurant for the Food trip is Flora Cafe at Hotel Elizabeth in Cebu City. Hotel Elizabeth is just a walking distance from Ayala Center Cebu at Cebu Park District and the only Mediterranean Boutique business hotel in Cebu City. Flora Cafe is located adjacent at the Hotel Elizabeth lobby offering International Cuisine. Cafe Flora Grilled Meat and Seafood is a mixture of beef, Pork ribs, Chicken leg quarter, sausage, squid and blue marlin grilled to perfection. Cafe Flora also prepared to Sooo Pinoy Food trip delegates their Heap All You Can Halo-Halo. A wide array of Halo-Halo condiments from Ube Halaya, Leche Flan, Red Beans, Langka, Pinipig, Ice Cream, Rice krispies, Nata De Coco, Shredded Fresh Buko Meat, Kamote, Kaong, Gulaman and more. 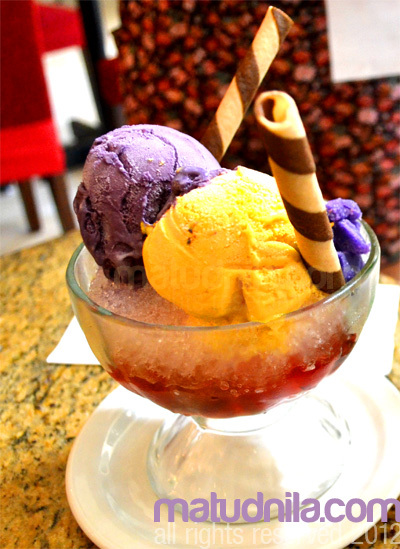 "Halo-Halo" means "Mixed" and in the Philippines, its the Summer Favorite other than Ice cream. Cafe Flora at the Hotel Elizabeth Promos includes "Bento-Bento Daily at 325 pesos", "Eat All You Can Grill at 555 Pesos" on Fridays. All served with Bottomless Iced Tea. Distinguish more Cebuano specialty delights by liking the Sooo Pinoy page on Facebook or follow @SoooPinoy on Twitter. 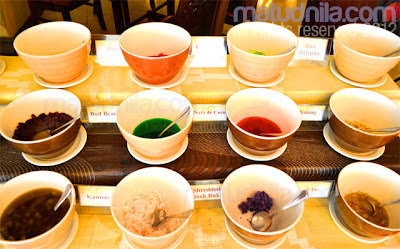 0 comments: on "Sooo Pinoy Food Trip Cebu: Hotel Elizabeth Cafe Flora Halo-Halo All You Can"